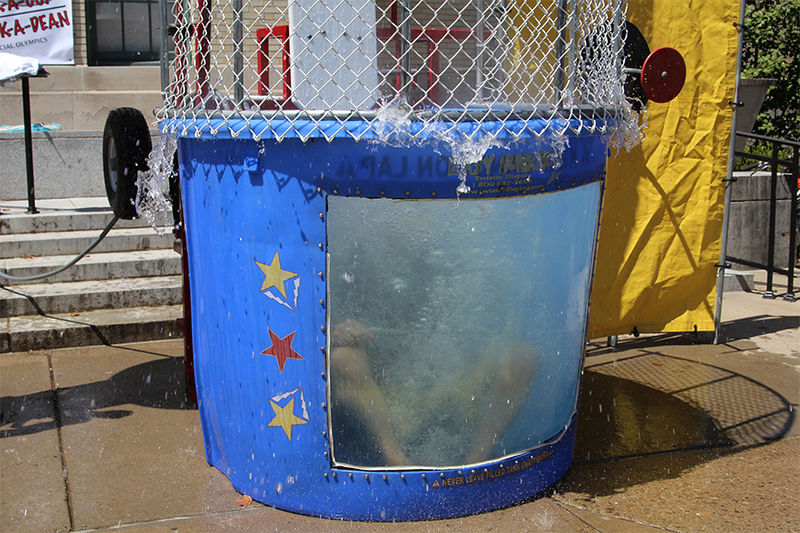 The annual Dunk-a-Dean event, sponsored by Carnegie Mellon University’s Police Department, happened today. Part of Spring Carnival, the competition aims to raise awareness and funding for the Special Olympics of Pennsylvania. 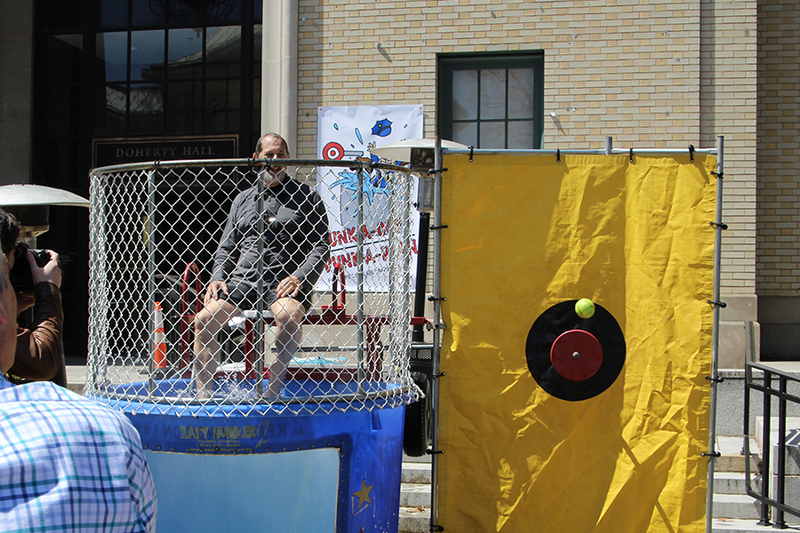 Richard Scheines, dean of the Dietrich College of Humanities and Social Sciences, was in the dunk tank for 30 minutes. 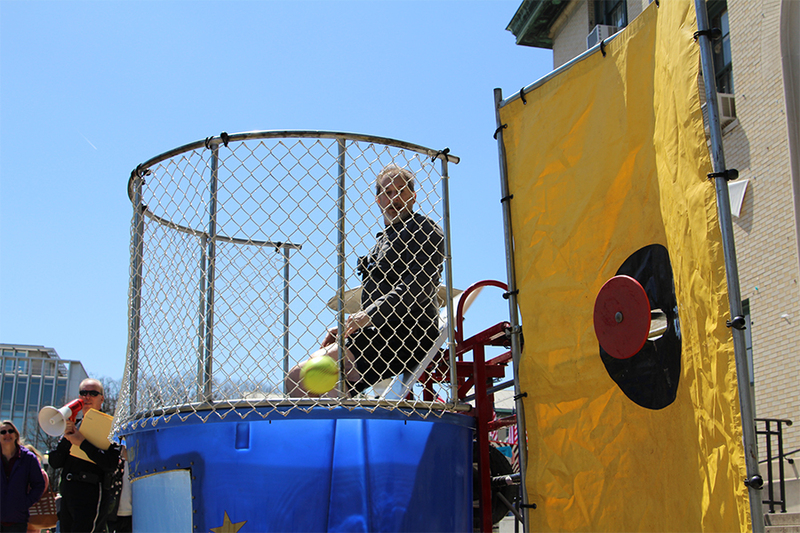 Faculty, staff and students took advantage of the opportunity to dunk-a-dean, with a rough estimate of Scheines being dunked 25 times. Relive the fun with a video from a GoPro Scheines wore while in the tank and with the photos below. 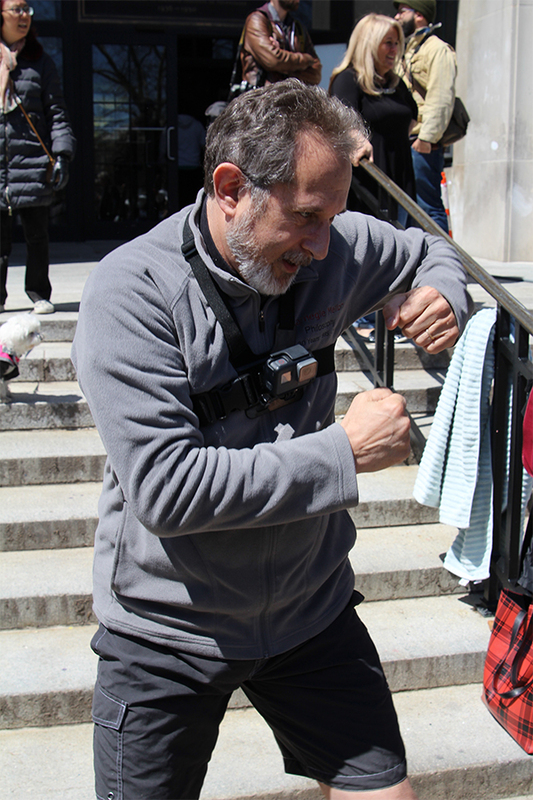 Richard Scheines, dean of the Dietrich College of Humanities and Social Sciences, was very prepared to go into the dunk tank despite the colder weather. 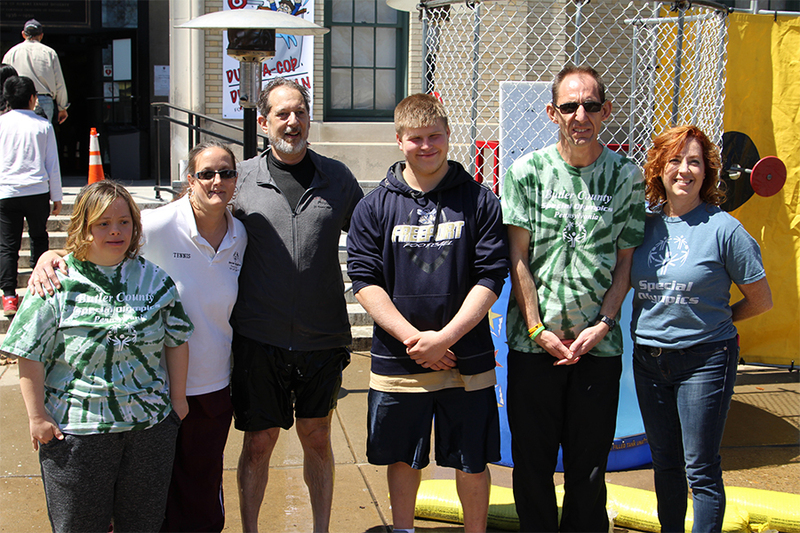 The Tartan community from all corners of campus were in attendance for today's Dunk-a-Dean event. The top three pledges had five minutes to try and dunk a dean as many times as possible, and 15 minutes was available for walk-up dunking. 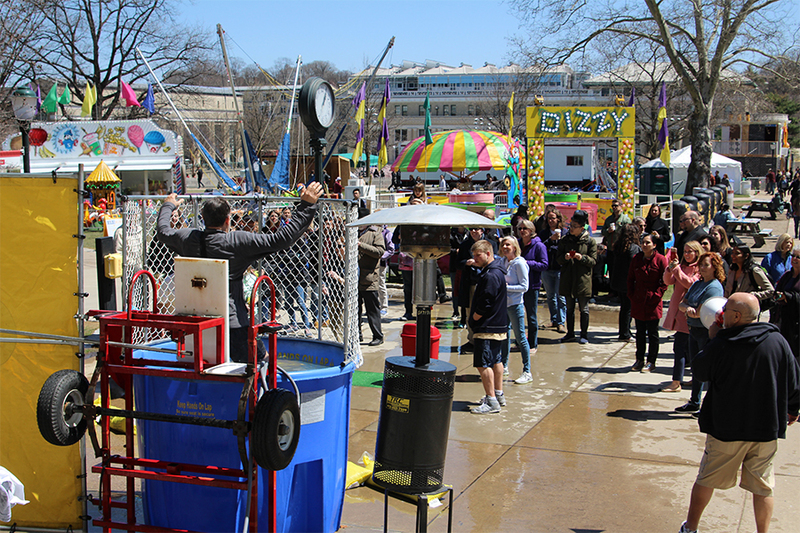 Sponsored by Carnegie Mellon's University Police Department, Dunk-a-Dean aims to raise awareness and funding for the Special Olympics of Pennsylvania. Dean Scheines with members of the Special Olympics of Pennsylvania community. 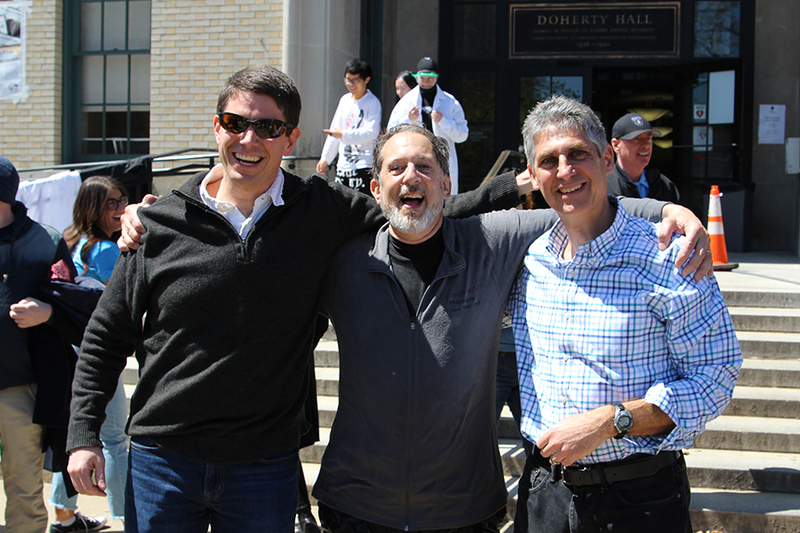 Dean Scheines, standing with David Danks, Philosophy Department Head and L.L. Thurstone Professor of Philosophy and Psychology, and Michael J. Tarr, the Kavčić-Moura Professor of Cognitive and Brain Science and Head of the Department of Psychology.